Fully furnished 3 bedroom home offering visitors to Ashburton warmth, privacy and space plus free unlimited Wifi and Sky TV. Everything is provided including linen and NO CLEANING REQUIRED. ​Everything is provided just bring your food. Warm & Comfortable - Our holiday home has undergone extensive renovations (including entire house insulation) and been outfitted with new decor offering visitors to Ashburton a warm pleasant, clean, fresh and spacious alternative. Heat pumps and HRV system. Single(s) bedroom has two long singles which can be joined to form another queen bed. Single bedroom off the kitchen with king single. See below for all amenities offered at this house. 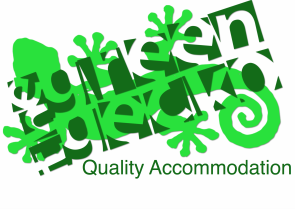 Overnight guests welcome - Accommodation is available for guests stopping overnight or relocating for 6 months for work, business or other reasons. Affordably Priced: Your stay with us is competitively priced with the added benefits of privacy, seclusion and space. For more information about our tariffs view our Rates page. Ashburton Accommodation - The Green Gecko, Ashburton, Canbertury, NZ.